Even as a child I felt very comfortable in my family's synagogue. I went to nursery school in the lower level of Adat Shalom Synagogue and would attend Shabbat services with my grandfather each Saturday morning. I looked up to the rabbi and the cantor of the synagogue, and considered them to be my mentors over the past three decades. After all, they knew me as a four-year-old tot and they knew me as a rabbi. They just always seemed to be a part of my life. And then Cantor Larry Vieder passed away in October 2008 succumbing to Pancreatic Cancer. A part of the congregation seemed to die with him. Even in his retirement, he was a staple of Adat Shalom attending the weekday and Sabbath prayer services as often as he could. 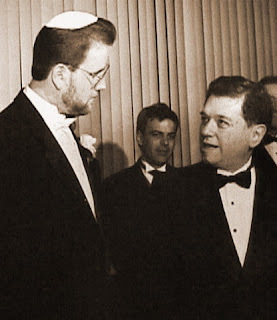 The other day, his long-time partner on the pulpit, Rabbi Efry Spectre, died in his Manhattan apartment where he had retired after leading Adat Shalom for 22 years. I developed a nice relationship with Rabbi Spectre, as can be expected since I spent a lot of time around the synagogue -- Saturday mornings with my grandfather, Hebrew High School classes, youth group activities, and working in the mail room for several years. He was my teacher in the classroom, and outside of the classroom too. In college, he encouraged me to work as a counselor at Camp Ramah before applying to rabbinical school. (He even called the camp director and told him to hire me.) He stood next to me at my bar mitzvah and officiated at my wedding a decade later. In between he spoke eloquently at my beloved grandfather's funeral, choosing just the right words to bring comfort to my grandmother and our family. But I really got to know Rabbi Spectre after he left Adat Shalom. A couple months after my wedding, he moved to NYC as part of a sabbatical that would lead directly into his retirement. He began teaching a course in homiletics (sermon delivery) at the Jewish Theological Seminary, where I was studying to become a rabbi. We enjoyed many lunches together in the cafeteria (with Cantor Vieder too when he came to town for meetings), and on several occasions he took my wife and I to dinner at different Kosher restaurants in Manhattan. I recall one Saturday afternoon when he joined us for lunch at our small Upper West Side apartment. After lunch and nice conversation, I remembered that someone taught me how Maimonides always escorted his distinguished Sabbath guests home. I felt I should walk my rabbi back to his apartment. So, we spent the next hour walking through Riverside Park on a beautiful afternoon. I probably learned more from my teacher during that walk than I did as a 10th grade teenager in his classroom. Little did I know that the following summer, in 2001, we'd have a lot more time together for me to learn from him. Rabbi Spectre would often ask me to come to his apartment and fix his computer (or set up his VCR, Fax machine, answering machine, etc.). He was one of the most brilliant rabbis of his generation, but when it came to electronics and computers he was a technophobe. One morning before heading to the gym, I came to his apartment to install some new software on his computer. I left my gym bag on the floor by his dining room table. While I was working on his computer, he went to get something from the other room tripping over the shoulder strap of the gym bag. He went flying to the ground and broke both shoulders. I called 9-1-1, rode with him to the hospital in the ambulance, and spent the next month at his bedside. A single man with no children, he depended on me and I felt honored to help. The experience had its "Tuesdays with Morrie" moments, but I also felt guilty that it was my gym bag that put him in the hospital (and later a rehab center). Thankfully, he recovered from the injury and didn't seem to hold it against me. Throughout the remaining years of rabbinical school and into my career, I continued to call upon Rabbi Spectre for his insight. He was a wonderful source of knowledge and advice on a vast array of subjects. He navigated the pulpit rabbinate better than most rabbis, always seeming to be there for his congregants and still finding time to visit Israel over fifty times. I was honored to write his obituary for the Detroit Jewish News this week. I quoted his colleagues, past congregational presidents, and his friends. They all emphasized the same qualities about Rabbi Spectre: He was an unwavering Zionist, a champion for the cause of freedom for Soviet Jewry, rigid in his observance of Jewish law, and highly regarded among other rabbis throughout the world. Many spoke of his artistic talents as a renown playwright and singer. He loved going to the theater, whether he was in New York, London, or Israel. He skillfully translated musicals into Hebrew to be performed at Camp Ramah. Locally in Detroit, he was a trusted spokesman for Jewish concerns and an ardent supporter of the Jewish day school. Rabbi Daniel Nevins worked alongside Rabbi Spectre as his assistant rabbi. He told me, "He came to Adat Shalom at a time of deep crisis and, together with a group of lay leaders and gifted professionals, he helped the synagogue become a vibrant Jewish center. He was extremely perceptive, and few rabbis could match his passion and eloquence, whether at a funeral or in a sermon. 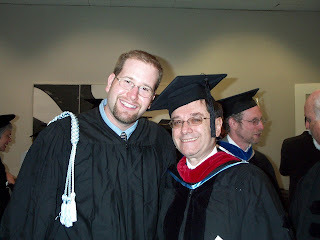 He encouraged me to be independent on the pulpit and in the classroom, and he supported my rabbinic development." As I wrote in his obituary, I will always remember my teacher as someone fond of telling witty jokes, making puns, and dancing on Simchat Torah with a broad smile on his face. I will also remember him playing a pivotal role in my formation, from a nursery school child to a rabbi in the community. He gave so much of himself to the congregation. His commitment to his people and the State of Israel was felt throughout the world. I am proud to call myself one of Rabbi Efry Spectre's many children. May the memories I have of my departed teacher endure for blessings. I remember Rabbi Spectre giving the eulogy at my father's funeral. It was outstanding and I can still recall it. Stewart Shear, member of Adat Shalom for 60 years. I had the privilege of meeting Rabbi Spectre when I (together with Hilary Glassman) joined his tour on 'A jewish journey through India' about 8 years ago. It was a wonderful trip and enabled us to meet with and become firm friends with Mr & Mrs. Henri Bernard together with Dr. & Mrs. Sheldon Schwartz. The tour was led in professional and fun way and this was solely down to Rabbi Spectre's professionalism. I was at the theatre in London with Rabbi Spectre and his sister Ruth only a few months ago and he was his usual cheerful self. After the theatre we met up with Hilary and went to dinner at one of the many kosher restaurants available in London. Rabbi Spectre insisted on treating us all much to our embarrassment. Looking back it was almost as if it was his way of saying 'goodbye'. He was en route back to the States after celebrating a family simcha in Israel. He was excited to talk about the simcha and how wonderful it had been. Rabbi Spectre will be sadly missed by everyone who knew him and appreciated his wonderful qualities. You gave his neshama a true honor with your words. I didn't have nearly as much contact with Rabbi Spectre, but I remember him vividly from my bat mitzvah and beyond. How wonderful that you were able to be a part of his life - as his support ad student. I'm sad, and feel like I'm the last to know. He's the only Rabbi that felt like *my* Rabbi. One of a kind for sure. He officiated at my wedding at Adat Shalom on 11/1/98. I think it was one of his last. I am fortunate that he was able to participate in such an important chapter of our life. For this, my memories of him are even more special. You wrote so movingly on your blog about Rabbi Spectre and your special relationship with him. I hope that your "eulogy" in the JN is warmly received. It should be. You acknowledged Efry's fine qualities beautifully. I, too, was one of Rabbi Spectre's "kids." I first met him at Camp Ramah in the Poconos in 1962, when I auditioned for the Nitzanim play, "The Nightingale." He put me in the chorus. For the next, 40-something years I never stopped teasing him about that (especially when he asked me to sing something), as we moved from child and counselor, to Rabbi and student, to friends. I last saw him in August, when we spent the day chatting and walking. I was so proud he was my friend. I shall miss "Ef" deeply. I heard the sad news this weekend from Rabbi Nevins. Rabbi Spectre came to Adat Shalom after I moved to Chicago, but he was always warm and welcoming when I came to visit my parents, even inviting me to his home on Shabbat afternoons. He officiated at a memorial service we held for my mother at the shul. May his memory be a blessing for his many friends and students. Man, am I out of the loop. I was just thinking about Efry today and thought I'd check if he was on Facebook. I'm saddened by his loss. Thanks for sharing your warm memories Jason. I studied under Cantor Vieder and Rabbi Spectre. Rabbi Spectre eulogized my Grandmother and Grandfather and my Uncle Marty. I wish I would have spent more time talking to them both about life. Adat Shalom is very sacred to me, my Grandmother was a part of the family and I was proud about that. hi Neil, I certainly remember your grandmother. I grew up at the synagogue and also worked in the mail room while she worked in the office. she was a very sweet and kind woman.